Today, I received a ticket to attend the San Francisco 49ers football playoff game this weekend against the Green Bay Packers. The game is being played this coming Saturday so I went ahead and looked for the lowest priced airfares for a Saturday departure and coming back Sunday morning. 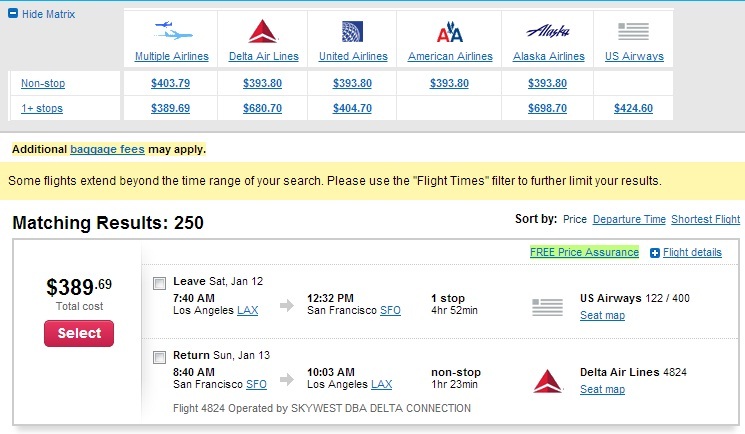 The lowest prices on Orbitz was $389.69 for LAX-SFO. Since this is a short distance flight, I decided to see if there was economy availability on British Airways using 9,000 Avios points and $5 cash. 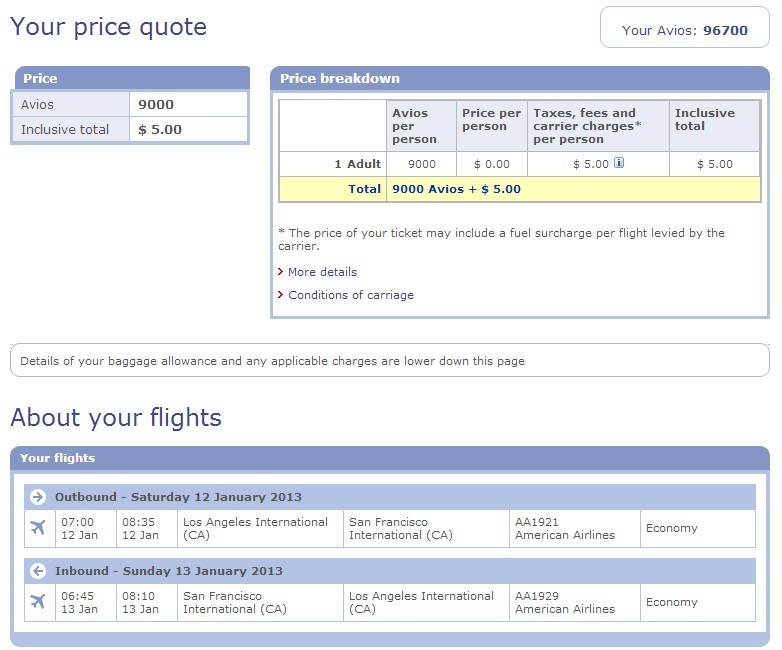 Since LAX-SFO is such a short distance, it only requires 4,500 Avios points each way. 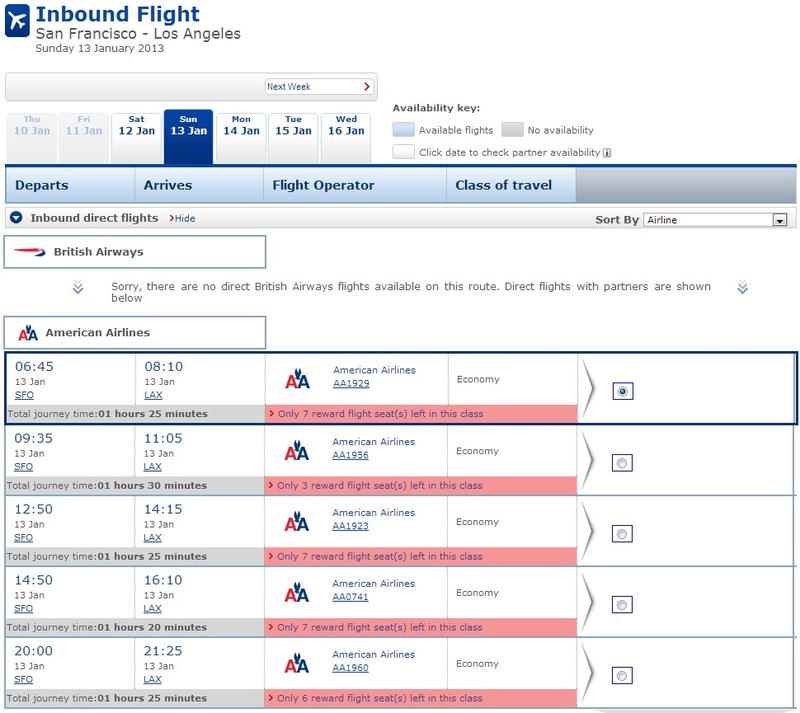 To my surprise, I found wide availability for my dates this coming weekend on British Airways. I was super excited to find out my Saturday morning departure and Sunday morning arrival in LAX was available. 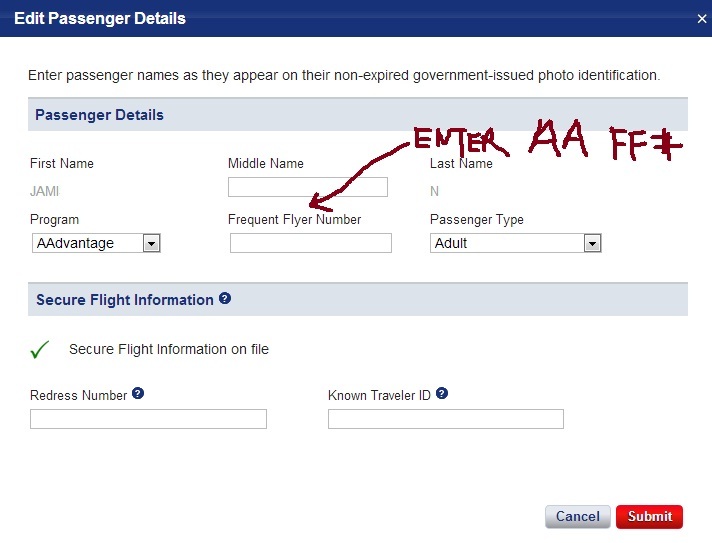 This is the most important step when trying to add your American Airlines Frequent Flier number after your award has been ticketed. 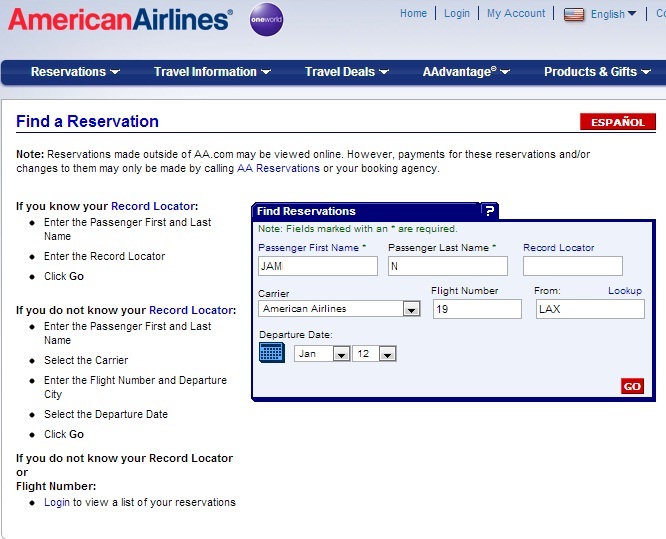 You MUST ERASE your BA Executive Club number or else it will be hard coded into the reservation and you will need to pick up the telephone to speak with American Airlines to change it. After you have successfully entered your credit card number and billing address, you will see your booking summary. 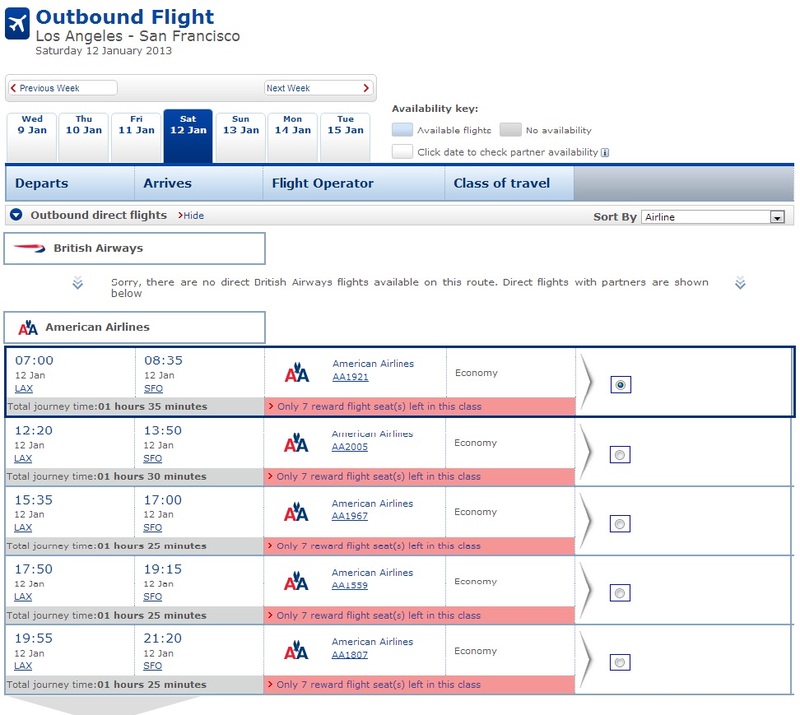 Ignore the British Airways Reference number so it is of no use when dealing with American Airlines. After booking your British Airways Award ticket, it is issued almost immediately, so head on over to http://www.aa.com and click on My Reservations. You will need to continue without logging in. 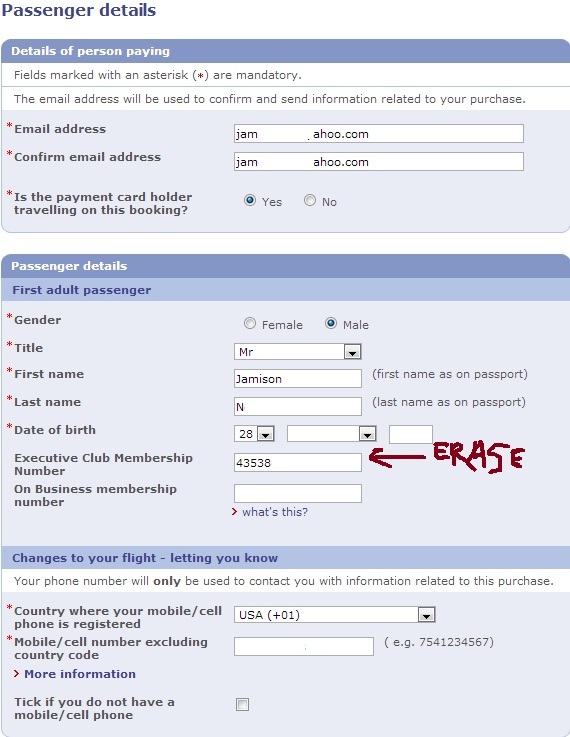 You will need to enter your First Name, Last Name, and Flight Number (gather from your booking summary). 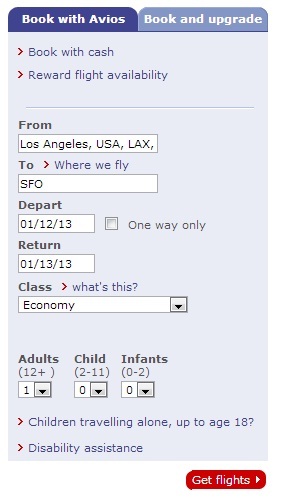 Enter the Airport and choose the departure date, then click Go. 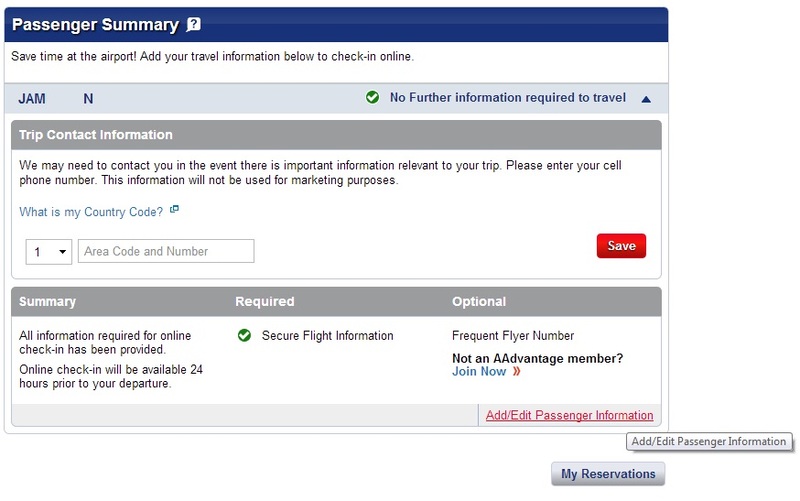 After entering your AAdvantage number, you can hit submit. If you see your BA Executive number pre-populated, then you must not have followed my guide correctly. You will need to call American Airlines and have them erase the BA Executive number (it might take them a few tries on SABRE). 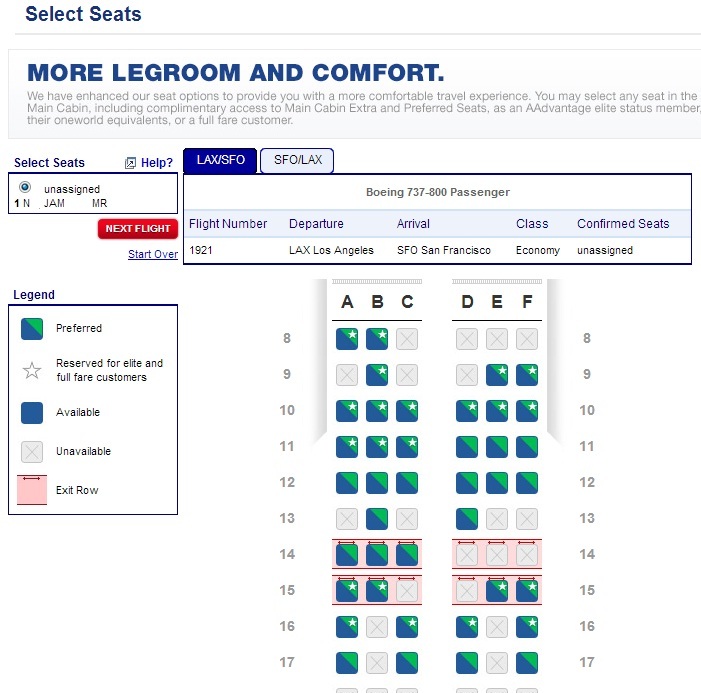 If you are an elite, you will be able to choose preferred seating. I hope this guide will help you to successfully book your future British Airways Avios awards and take advantage of your American Airlines AAdvantage status. My next few guides will teach you some tips and tricks on how I book hotels and car rentals. I can’t wait to see my San Francisco 49ers win this Saturday!! 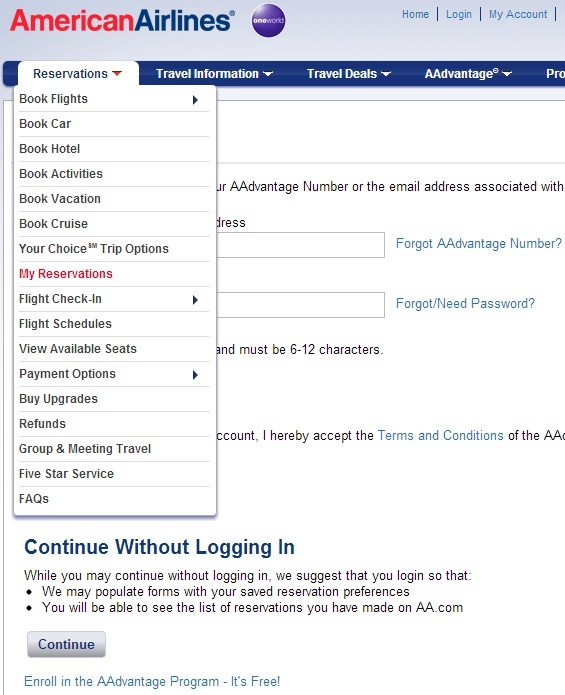 This entry was posted in award travel and tagged aadvantage, american airlines, avios, award tickets, british airways on January 8, 2013 by jammanxc.